A bold, monochrome print honouring Scotland’s other national drink – the mighty Barr’s Irn-Bru. 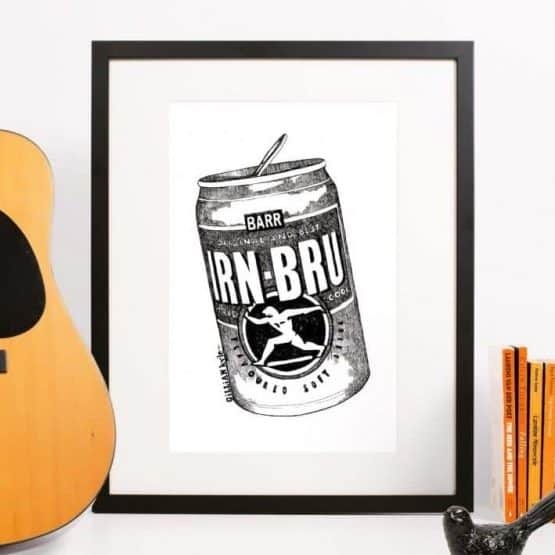 This tongue-in-cheek wee piece of wall art will add some irreverent humour to your kitchen – or make a fantastic birthday, wedding or housewarming gift for someone you know who’s crazy about the orange fizzy stuff. This prints is unmounted and unframed and comes rolled in a protective tube. 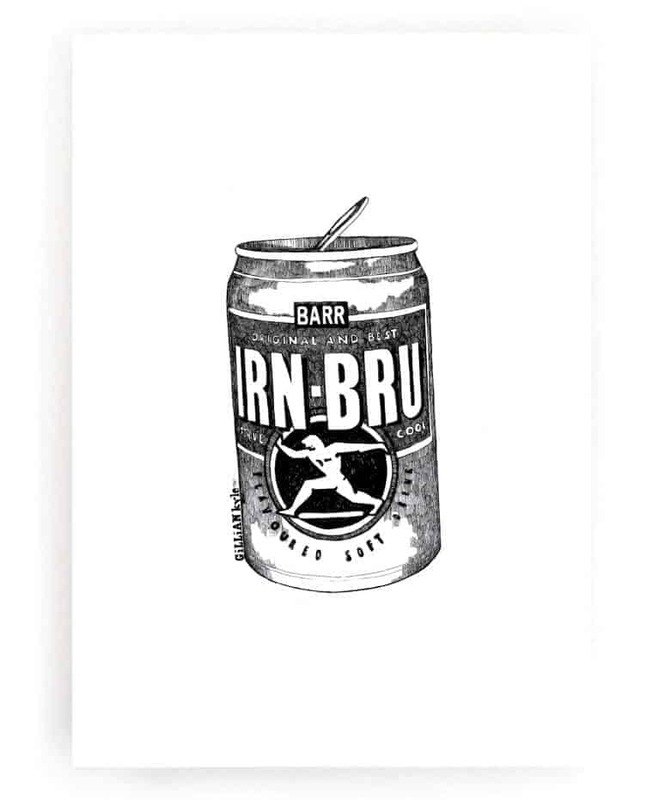 To view all our Gillian Kyle Art Prints click here. 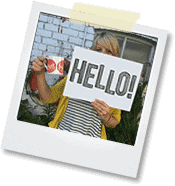 Beautifully printed on great quality – thick off-white recycled card in lustrous black ink. This A3 Gillian Kyle print measures at 29.7 cm x 42 cm (11.7 x 16.5 inches) and comes unframed and unmounted. Your print will come rolled in a protective tube.